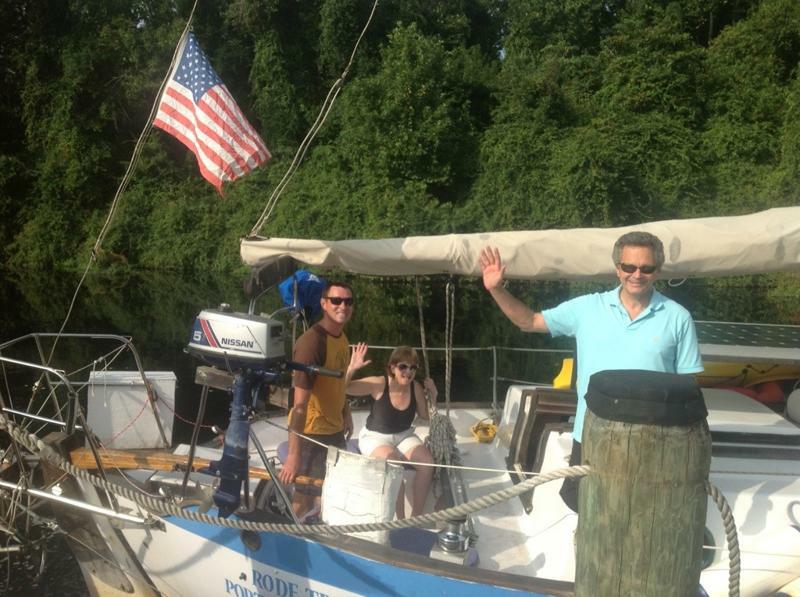 We christened our Westsail 32 ‘Rode Trip’ on 23 June 2012 and among family and friends stepped aboard our new home. Our dream had become a reality. 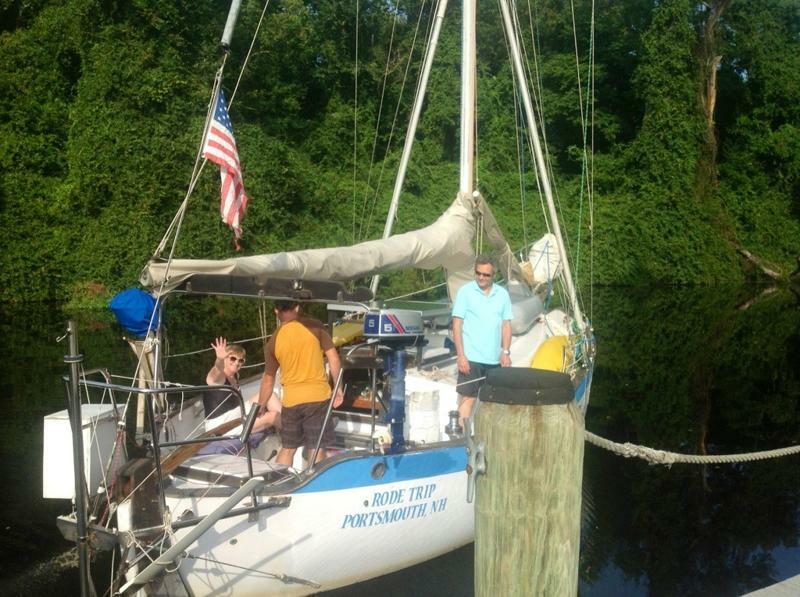 We set sail for anywhere, everywhere, somewhere…we’d figure it out! 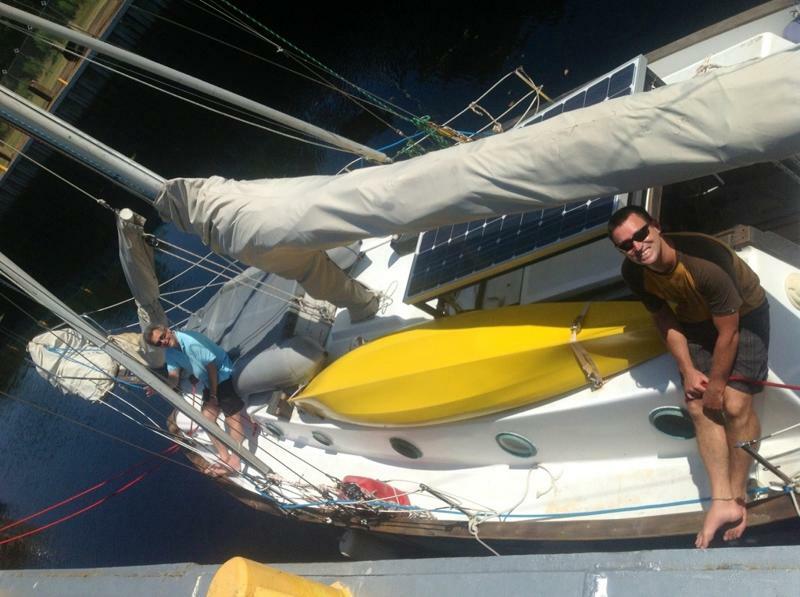 It has been 812 days since we shared champagne with Neptune and started our new lifestyle at sea. The day Rode Trip was hauled from the water marked the end of an era for us. Thanks, a BIG THANKS, to our parents, to Grandma G., and to Aunt Margaret and Uncle Barry for helping us to move off of Rode Trip. Many hands made light work and the use of vehicles was much appreciated to move our personal belongings from Deltaville, VA back to our storage corner of Grandma’s basement in Honesdale, PA. Throughout the transition, our family made sure we had plenty to eat and comfortable places to sleep. Rode Trip underwent a mini-makeover at the yard. 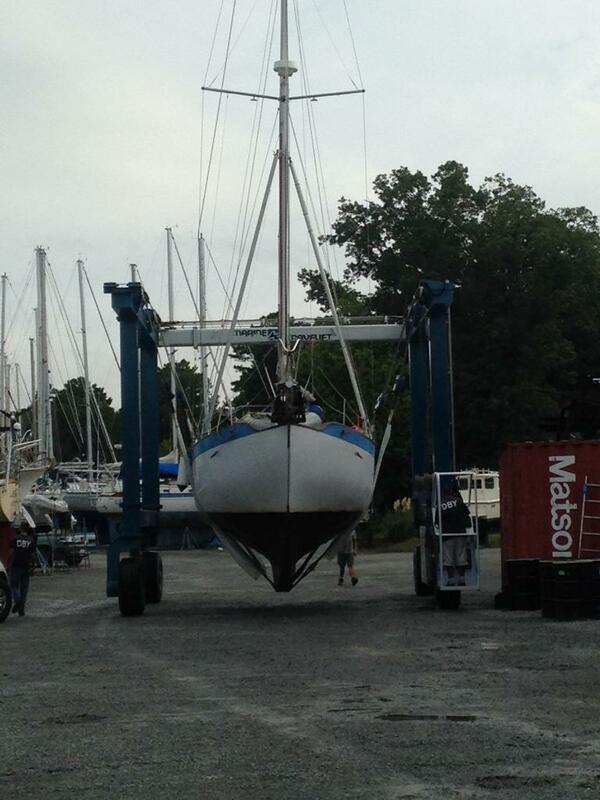 She’s looking so good I might buy her myself (I’m sure Brian and Bruce can handle the new boat). 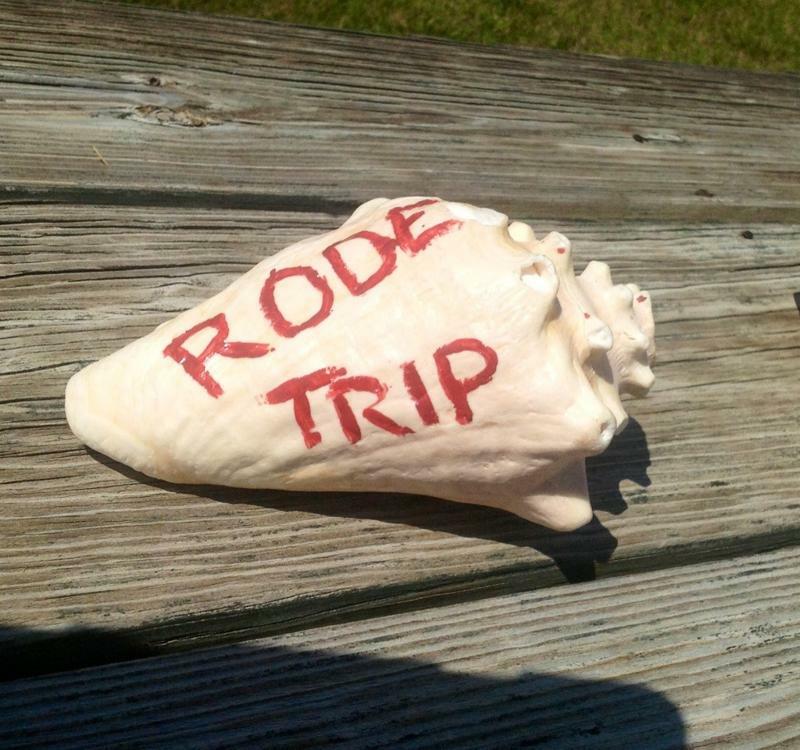 Rode Trip is ready for a new captain and more adventures! 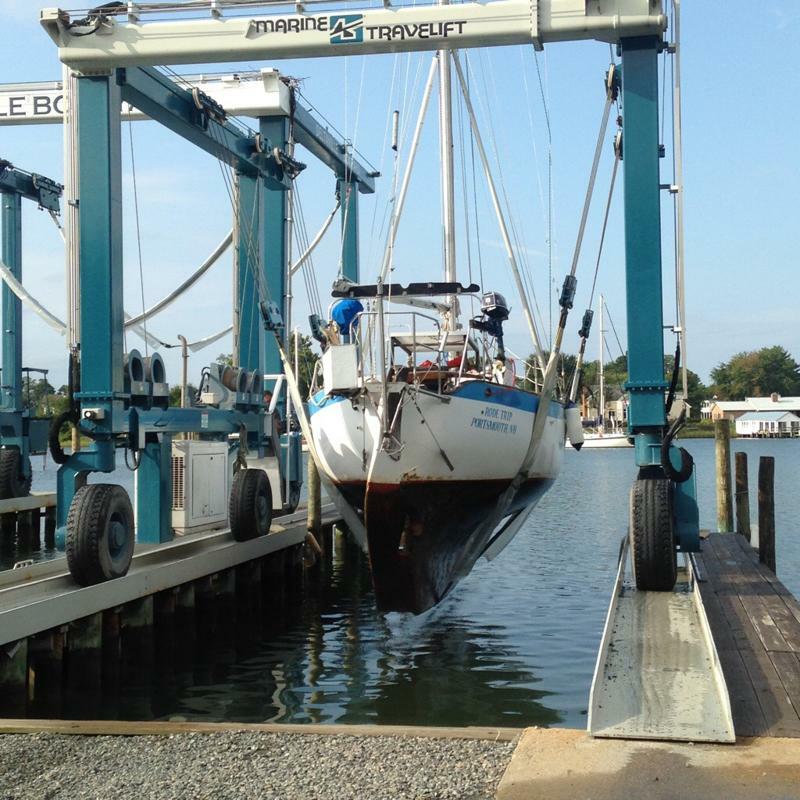 The sun was smiling down on the Chesapeake, and there was a hint of a breeze at the docks where we met Aunt Margaret and Uncle Barry. The morning had sailing potential! Aunt Margaret had called us while we drinking our morning coffee to invite us to join them aboard Irish Magic, their Catalina 350. Irish Magic was ship-shape when we arrived and ready to set sail! Margaret and Barry have a wonderful system at their slip. Irish Magic has permanent dock lines; when ready to leave they cast off the lines and when they return the lines are ready to pick-up. 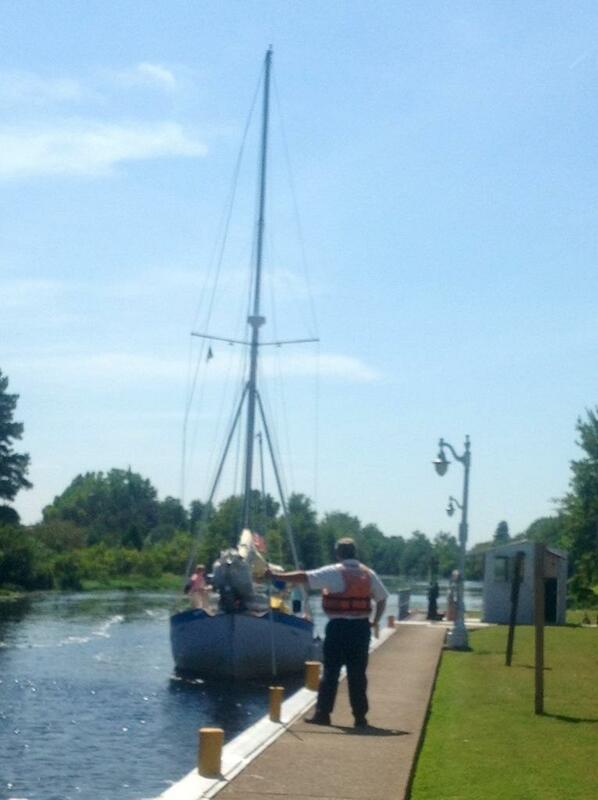 We released the dock lines and Barry expertly backed out of the slip and turned into the channel. 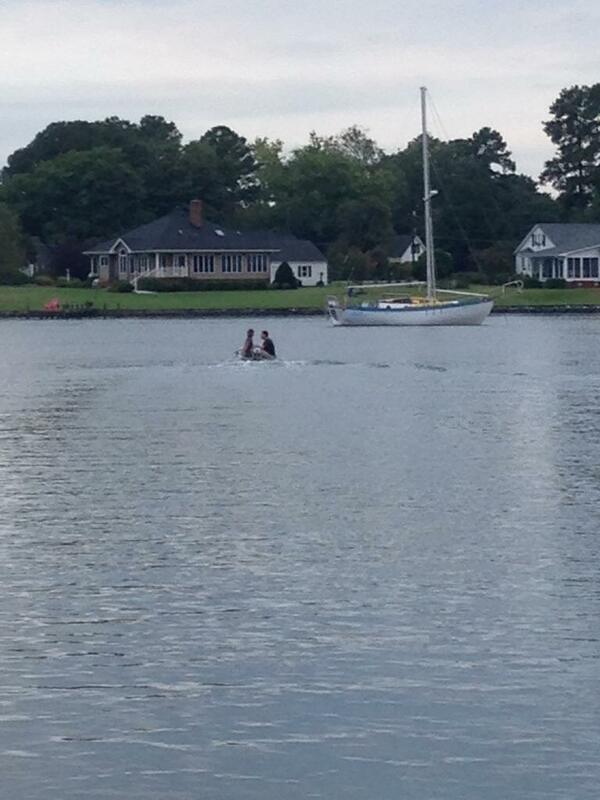 We motored out into the Rappahannock River. There were many boats enjoying the day. A “fishing fleet” was anchored; all pleasure boats fishing in the day’s most popular spot. Just outside of the channel, Barry raised the sails. 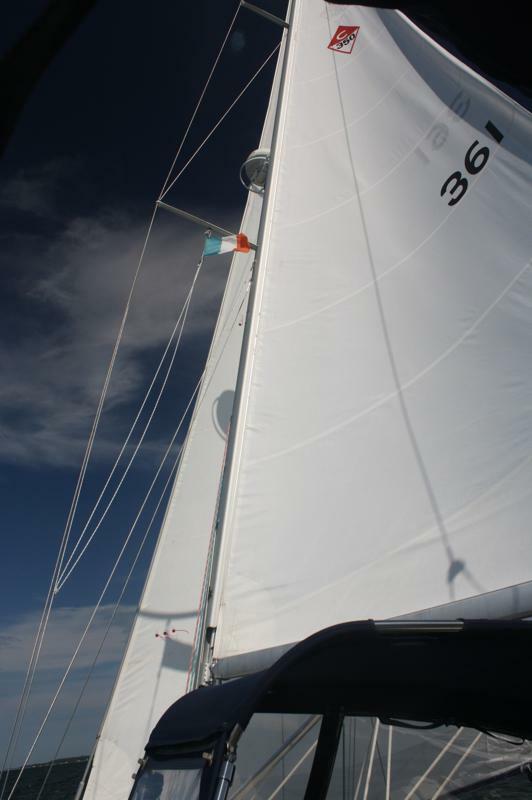 He demonstrated the simplicity of roller furling by first raising the roller furled main and then raising the roller furled genoa. He never left the cockpit and the sails were raised with ease. Wow! Now that is something we could get used to! 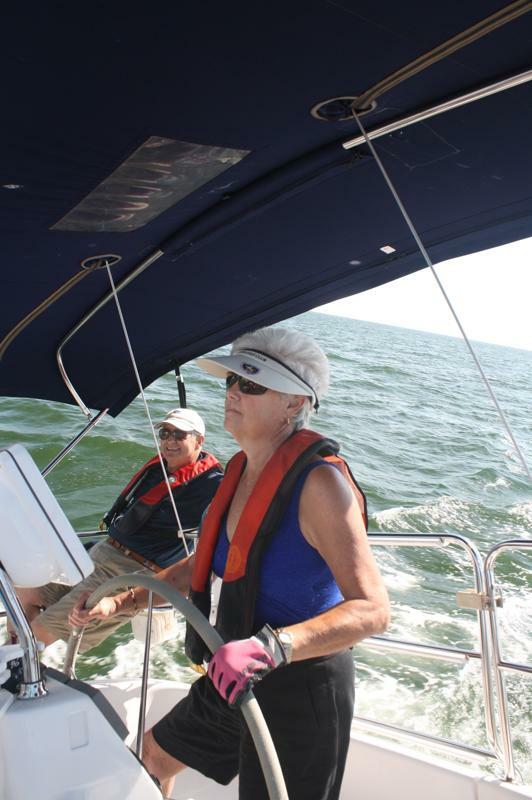 Margaret took the wheel as we sailed smoothly up the Rappahannock River. 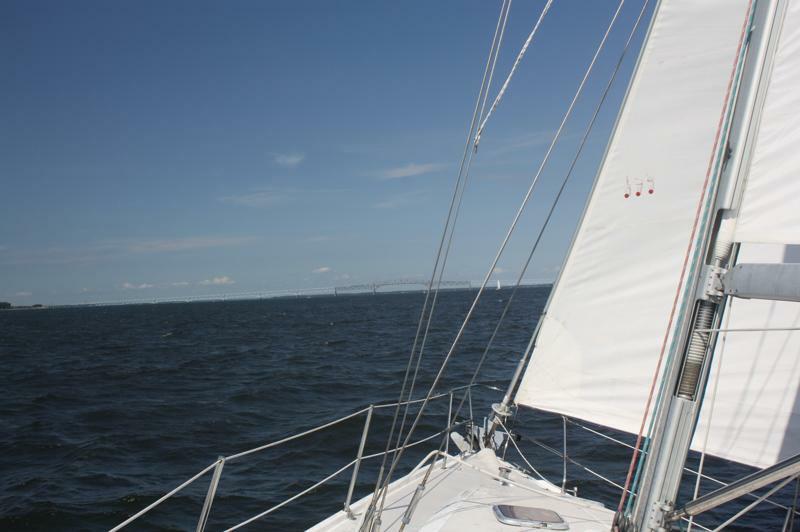 With 15 knots of steady wind, we sailed upwind upriver and then downwind down river. The Grandjeans commandeered Rode Trip! 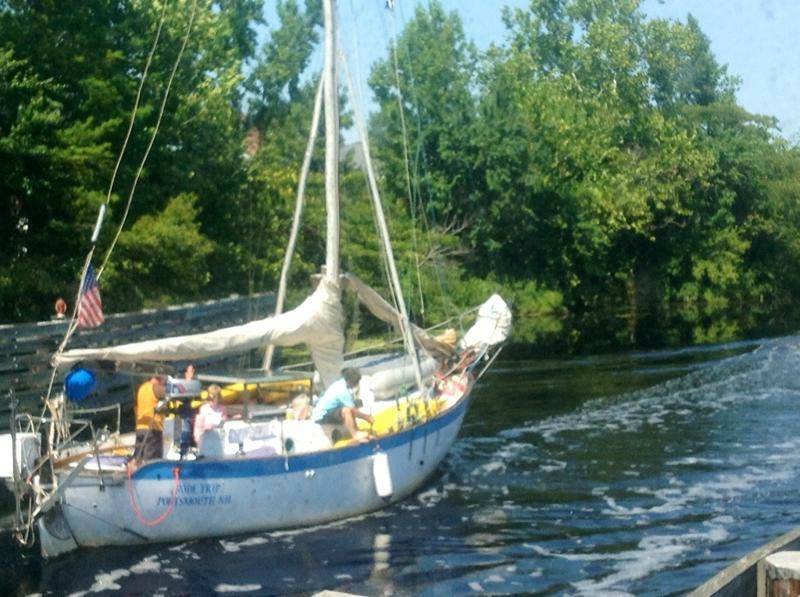 …and off they went for a leisurely motor down the Dismal Swamp Canal. 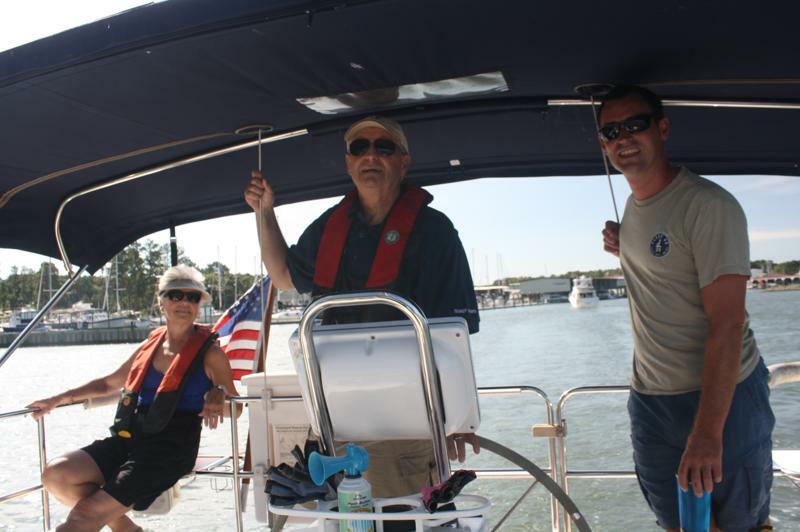 Bruce and Kathy had traveled from Pennsylvania to experience this magnificent, original stretch of the Intracoastal Waterway. Meanwhile, I’d been left at the Dismal Swamp Canal Welcome Center where I settled into the lounge of the Welcome Center with iPad in hand and utilized the free WiFi for some much needed emailing, phone calling, and writing. The women working in the Welcome Center were most friendly and we chatted intermittently during our work. When finished, I headed back outside to the parking lot and hopped aboard the car hoping that I still remembered how to drive. 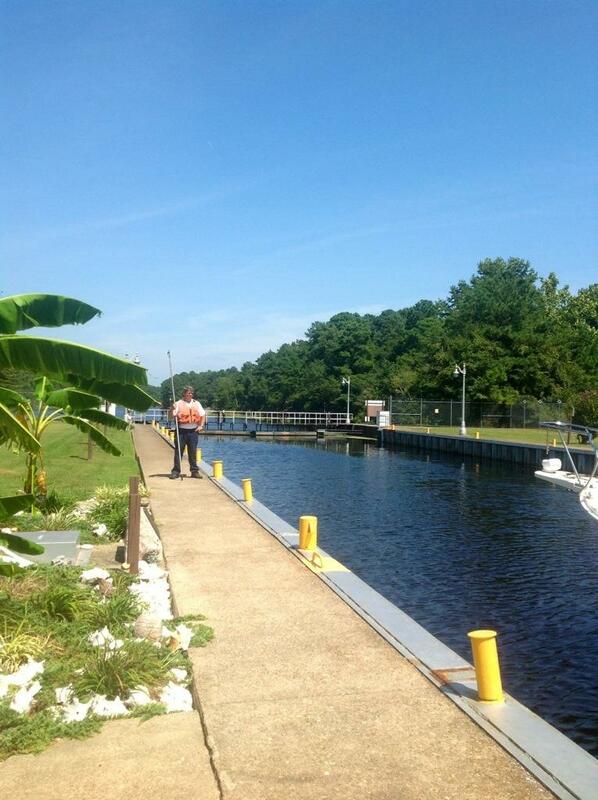 I planned to meet Rode Trip at the Deep Creek Lock; 17 statute miles by canal from the Welcome Center. Rode Trip would travel for approximately four hours to reach the lock, but my trip by car would take only 20-minutes. No wonder our land friends always wonder what’s taking us so long! They should try driving their cars around at 4.5 mph…swing by the grocery store on the way home, no problem as long as you don’t mind starting to cook supper at midnight. Robert is the lock-tender at Deep Creek Lock. He is somewhat of a rock star among the cruising crowd, especially the snowbirds (seasonal cruisers who head south in the winter and north in the summer). 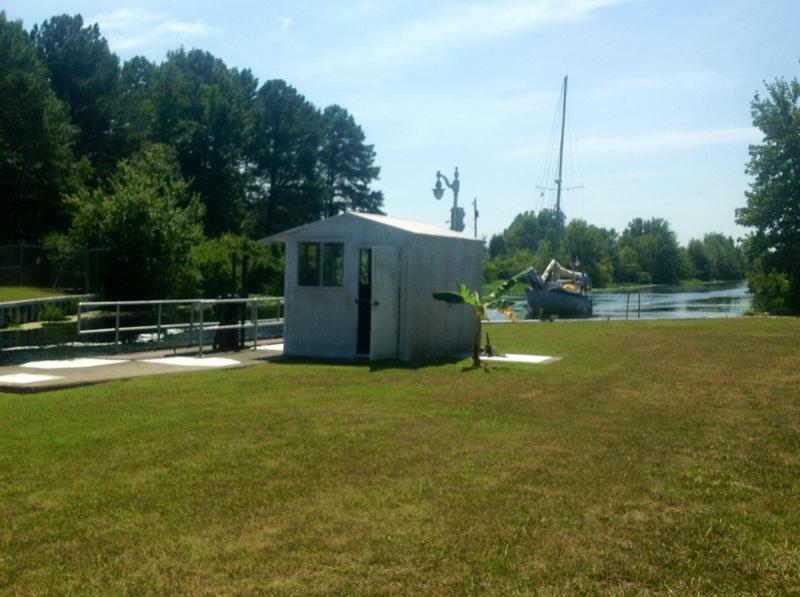 Robert not only does his job spectacularly, but he also knows a wealth of information about the Dismal Swamp, Dismal Swamp Canal, and surrounding areas of Virginia. He welcomes passers-through and provides excellent instruction for safe passage through the lock as well as history and stories and if you are very lucky he’ll demonstrate his skills blowing a conch horn. 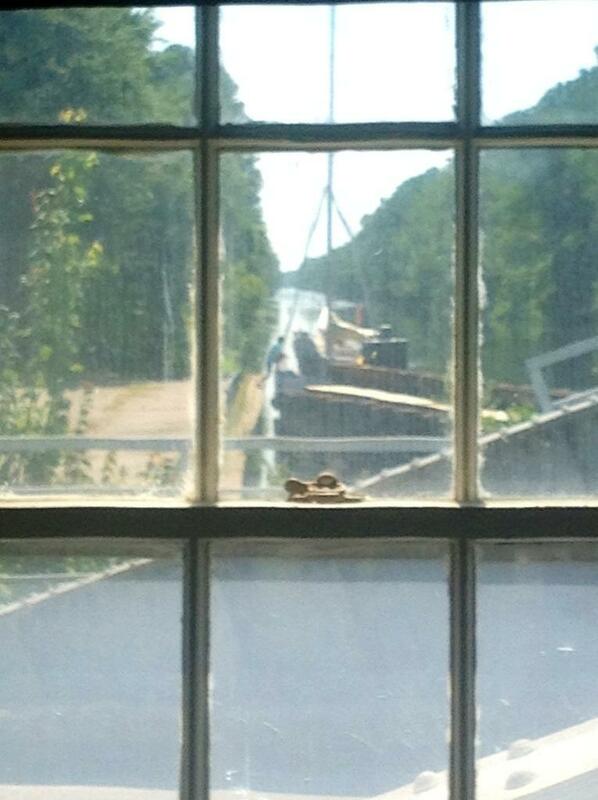 I followed Robert via car to the Deep Creek Lock and joined him inside the air-conditioned lock cabin. For nearly two hours we talked covering a variety of topics. 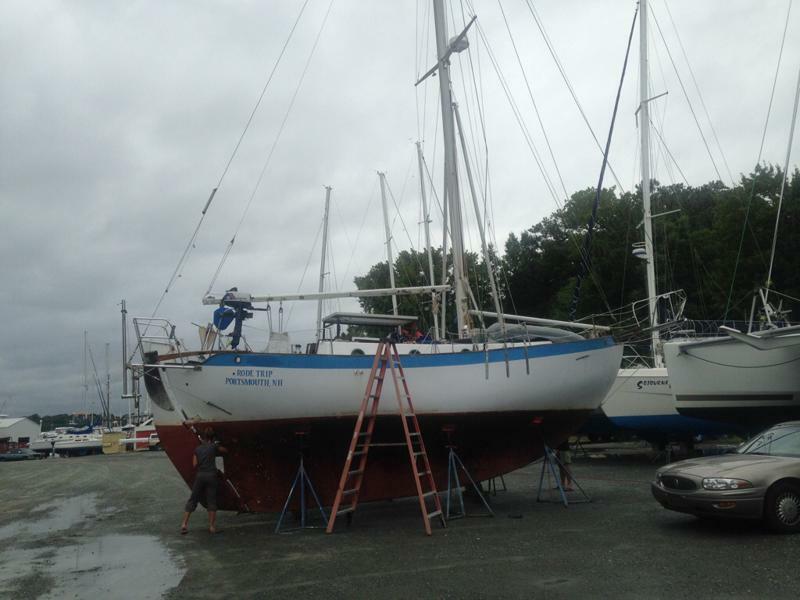 We were interrupted only once when the VHF squawked and to my surprise (Brian’s voice sounds very different to me over the radio waves) “northbound sailing vessel Rode Trip” was calling to notify Robert that they were at the bridge awaiting the 1300 opening. Rode Trip made fabulous time! 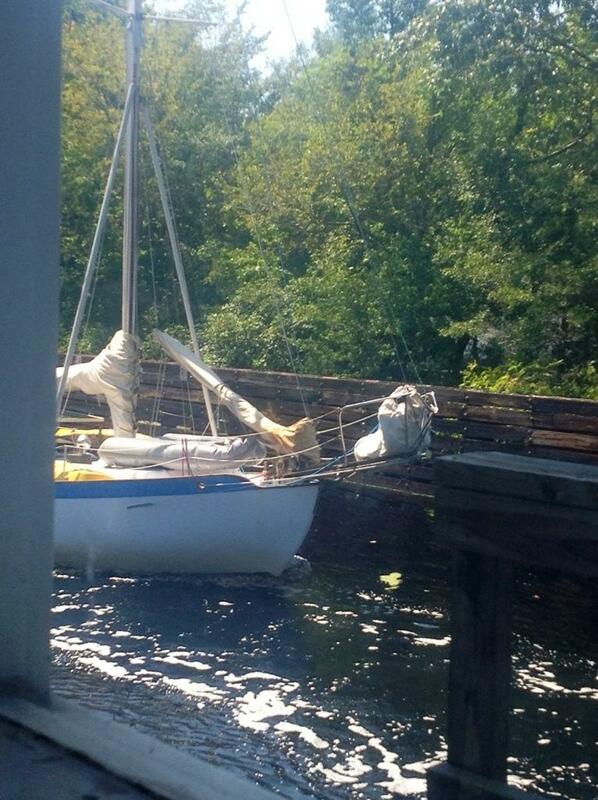 They’d arrived one-hour earlier than anticipated and tied at the dock near the bridge until the opening. …I was behind the scenes watching Robert in action. The bridge quickly rose and Rode Trip and the motor vessel proceeded through. (If you are looking closely at the photos, they are all wibbly-wobbly; the iPad could not focus through the old glass window panes. Next time, I’ll ask Robert how old the control house is, he’ll know!) Brian, Bruce, and Kathy gave a wave. Then, Brian did a double-take and recognized his wife through the window. He pointed and I watched them all wave again enthusiastically once they realized I was behind the scenes. “That was LOUD!” I commented to Robert while the boats passed through. “That’s not loud,” he replied, “put these on,” he handed me ear protection. Apparently the bridge is enormously loud when going down. I thanked Robert as we returned to our cars to head back to the lock. 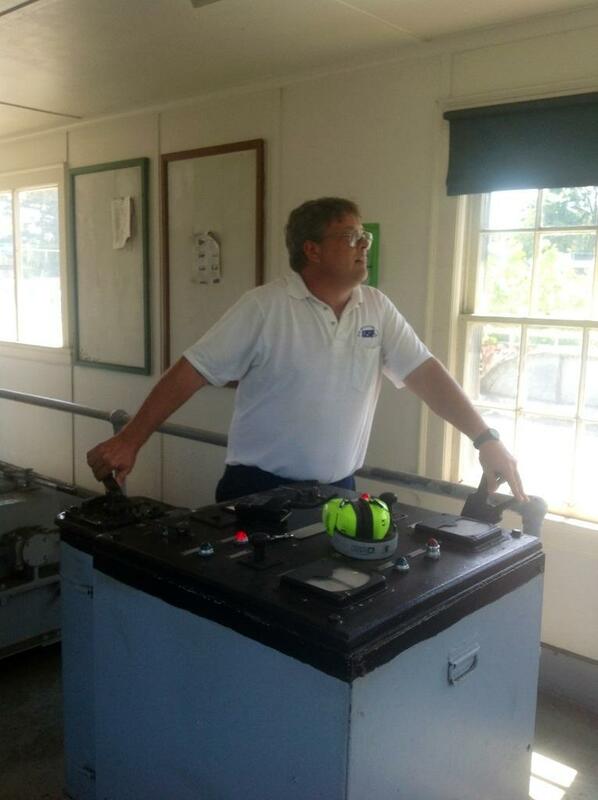 Robert was at the ready to assist the incoming vessels. Rode Trip entered the lock, lines at the ready. Robert recognized Brian; although he sees many captains, he reaffirmed that most are about twice our age. 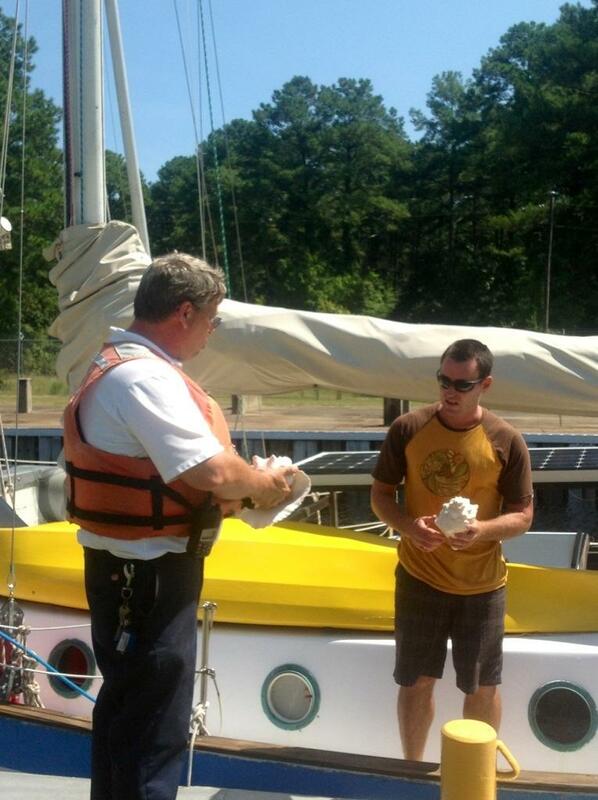 While the lock was preparing to lower, Brian presented Robert with his choice of conch horn. Robert played us a tune! 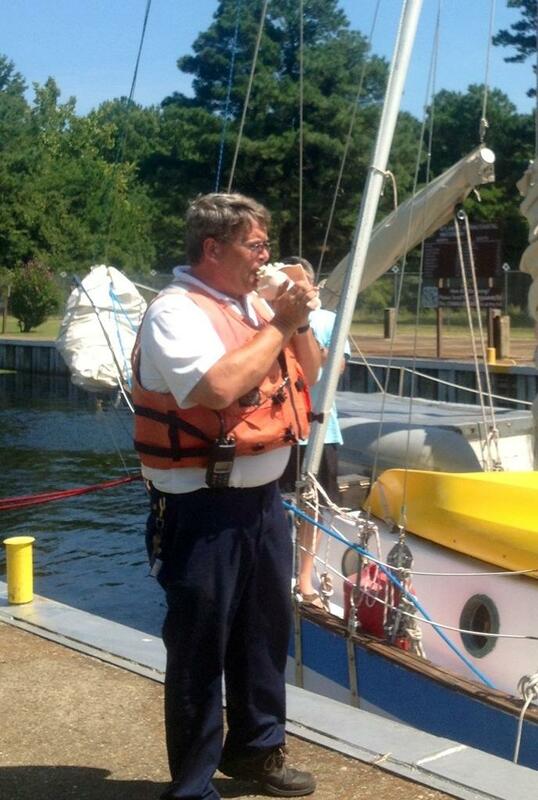 Robert regaled us with historical facts while the lock lowered Rode Trip eight-feet down. Afterward, we waved goodbye to Brian and Bruce. They would continue to Norfolk. Kathy had come ashore; she was anxious to begin the next expedition of the day…SHOPPING!